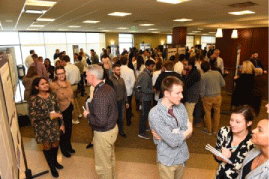 Kansas City University of Medicine and Biosciences celebrated science with its annual Research Symposium, held March 20 at both the Kansas City and KCU-Joplin campuses. 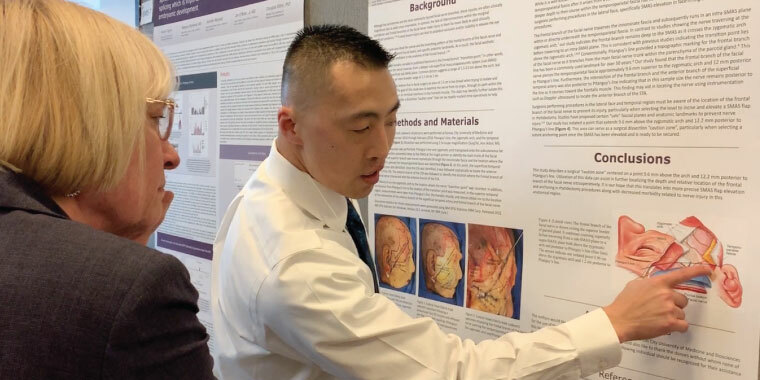 More than 1,000 students, faculty, staff and guests attended the event, including a group of high school students in a biosciences pathway in the Blue Valley School District CAPS program. “This is a day of discovery. 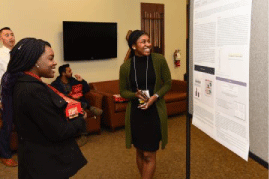 Our students are fighting cancer, hematological diseases, physical diseases and sharing their research with each other,” said Robert White, PhD, dean of the College of Biosciences. 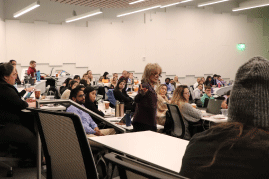 Student, faculty and guest presentations included research on the impact of congestive heart failure on short-term in-hospital outcomes for patients with acute traumatic brain injury, a comparative analysis of platelet proteolytic machinery in Alzheimer’s Disease, a psychiatry residency yoga training experiment, and a presentation on health disparities across diverse populations by Tamara Baker, PhD, of the University of Kansas psychology department. Student’s presentations also competed for several awards. "Impact of Congestive Heart Failure on Short-Term In-Hospital Outcomes for Patients with Acute Traumatic Brain Injury"
"Vascular Defects in Doxorubicin Treated Mouse Hearts: Focus on Capillaries"
"The Impact of Chronic Obstructive Pulmonary Disease and Hospital Teaching Status on Mortality, Cost, and Length of Stay in Elective Total Hip Arthroplasty Patients"
"Depth Transitions of the Frontal Branch of Facial Nerve: Implications in SMAS Rhytidectomy"
See highlights of the symposium here.